POINT PLEASANT, NEW JERSEY, SEPTEMBER 23, 2017 - The Point Pleasant Soccer Club and the Soccer Parenting Association today announce a partnership agreement by which all families associated with the Point Pleasant Soccer Club will now receive free access to the educational content on the MySoccerParenting.com platform. 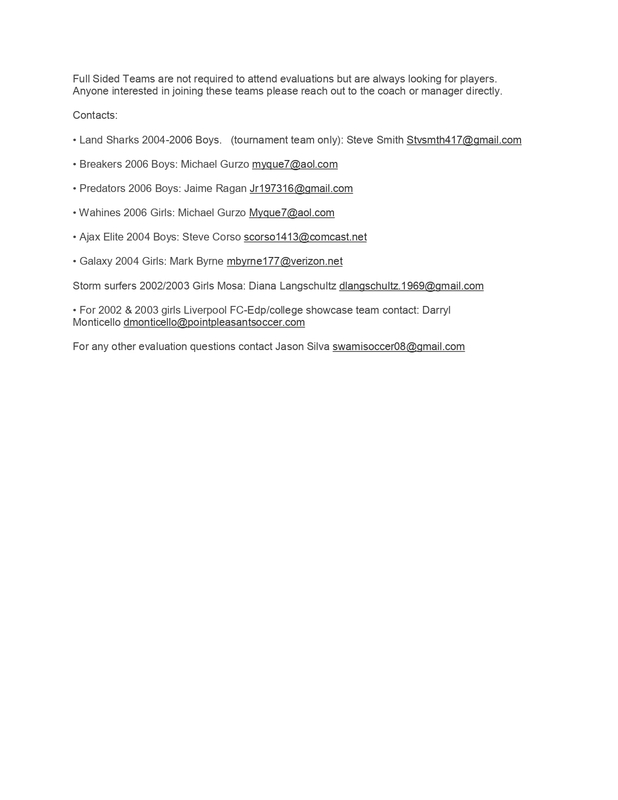 MySoccerParenting.com seeks to improve and enhance the experience for youth soccer players by engaging and supporting the players’ parents on topics related to the Body, Mind, Coach, Parent, Next Level and the Game. 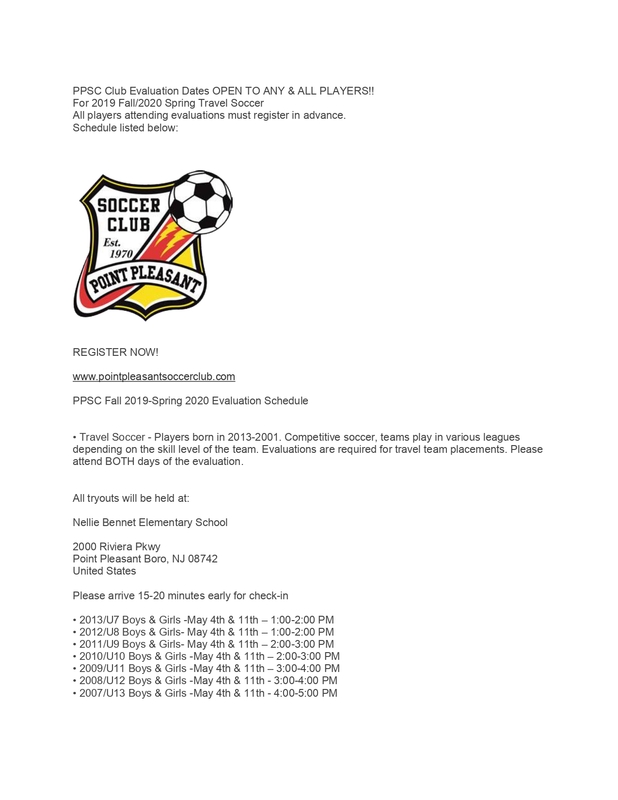 The Point Pleasant Soccer Club, founded in 1970 has enrollment of approximately 500+ Players. “The investment MVLA Soccer Club is making towards positively affecting the lives of the players and families associated with their club is commendable. 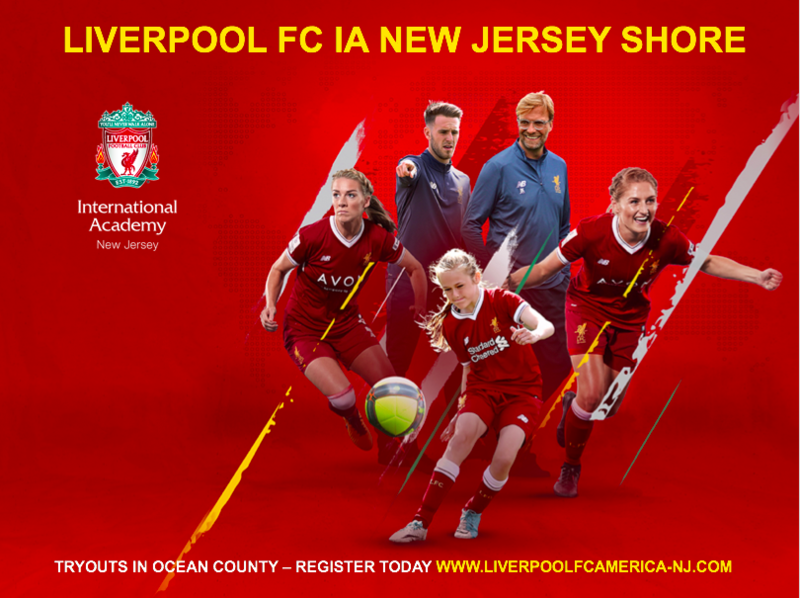 We are proud to work with the Point Pleasant Soccer Club and are encouraged by their commitment to make a positive impact in their community through sport,” said Skye Eddy Bruce, Founder of the Soccer Parenting Association. “A CLUB COMMITED TO THE DEVELOPMENT OF TODAY’S YOUTH AT ALL LEVELS” The Point Pleasant Soccer Club.